On 11 August 1853 Samuel Savile Kent, a widower with ten children, married Mary Drewe Pratt, governess to his family. By the summer of 1860 the couple had three children, a boy — (Francis) Savile Kent born on 9 August 1856 — and two girls. At 6am on 30 June the nursemaid Elizabeth Gough, 22, went to rouse Savile and saw that he was not in his cot. She presumed that his mother had taken him and it was an hour before anyone realized he was missing. He was found in a disused lavatory, a deep wound almost decapitating him. At the inquest a verdict of murder by “person or persons unknown” was recorded. Gough was arrested but let go because of lack of evidence. Inspector Jack Whicher, 45, of Scotland Yard was called in to investigate and on 20 July he arrested 16-year-old Constance Kent, the ninth child of the first marriage. One of her three nightdresses was missing and two friends testified that she had told them she was unhappy at home. But Constance was released and Gough rearrested on 24 September. It was rumoured that she and Samuel Kent were having an affair and, worried the boy waking would expose them, they had murdered him. The charges did not stick and on 18 April 1861 the Kent family moved to Wales while Constance moved to a finishing school in Dinan, France. She returned to England on 10 August 1863. On 25 April 1865 Constance of her own accord went to Bow Street Magistrates’ Court and confessed. 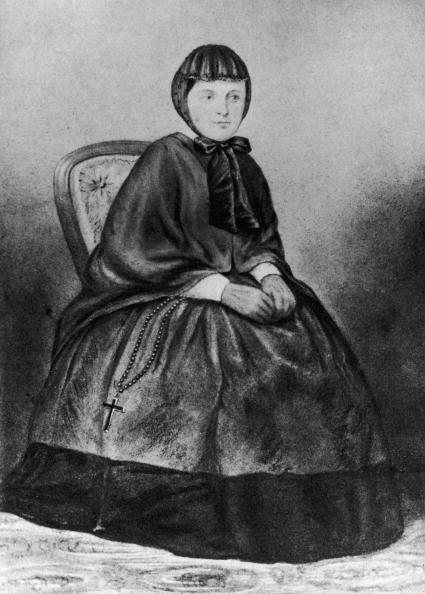 She was examined for her mental state and a doctor wrote, “She bore no against the little boy, except as one of the children of her stepmother.” Found guilty of murder on 21 July, Constance Kent was sentenced to death but her sentence was commuted to life imprisonment on 27 July because of her youth. She was released from prison on 18 July 1885, aged 41. She died on 10 April 1944, aged 100. Having lived to see her 100th birthday, she may have been the first convicted murderer to receive the birthday telegram from the monarch.